Germany’s TalentRaspel virtual worlds Ltd. has licensed the RCI grid management technology from PioneerX Estates. (Get the details here.) This is a small story in the normal course things — companies license products from one another all the time. But it’s a big story in terms of the evolution of the OpenSim infrastructure ecosystem. And it bodes very well for OpenSim customers in general. From a user perspective, the worst situation to get into is a vendor-based monoculture. A company makes something, and you buy it from them. But, all other things being equal, if you’re choosing between one path that’s a monoculture, and another is a varied ecosystem, the latter always wins out. In a monoculture, a single vendor has to be all things to all people. In Apple’s case, the company is a hardware manufacturer, an operating system developer, a user interface designer, an accessories maker, a Web-based content marketplace, and much more besides. At least it’s not writing all its apps by itself. Many virtual world platforms today are monocultures similar to that of Apple. 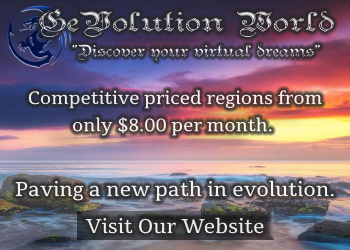 You get your viewer, your server, and your hosting from a single provider — as with ProtoSphere, Teleplace, Web.alive, VenueGen, 3DXplorer, and Jibe. You may be able to use products and services from third-party designers or content creators, but, for the most part, the entire system consists of the vendor and their customers. With a varied ecosystem, you have a choice of providers, so you can pick the vendor that offers the features you need, or the price you’re looking for. And you can switch vendors if your needs change — or another vendor comes along that does it better. A varied ecosystem means that, over time, the price customers pay drop, and the features improve. It also insulates customers from the possibility that their vendor goes out of business, or stops support for that particular platform. Would-be grid owners weren’t limited to these vendors, however. They could also get OpenSim straight from the source — the open-source OpenSimulator.org site — and run it on their own servers. Even if every single OpenSim vendor were to go out of business at once, OpenSim customers had an alternative. Until today, however, OpenSim vendors themselves didn’t have an ecosystem of providers — they could use the software and add-on modules distributed by the source community, or they could write their own. In other words, the OpenSim ecosystem gained a new layer, a new kind of OpenSim vendor — one that supplies technology or services to other OpenSim vendors. Previously, OpenSim hosting companies had to handle a number of different functions, all while trying to compete in a fast-moving and price sensitive environment. 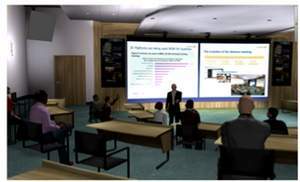 They had to stay on top of the OpenSim technology, which changes quickly. They had to manage their hardware infrastructure. They had to create management interfaces to help them do both, as well as user interfaces for their customers. They had to provide support to their users. And many also offer consulting, design, programming, and other services for their customers as well. Not every vendor can be good at each of these tasks. Some are better at customer service. Some are better at back-end infrastructure. When a vendor tries to do something they’re not good at, it takes them more time, and leads to a worse result — and the customers suffer from higher prices and a lower quality of service. When a vendor can focus just on the thing that they’re the best at, and leave the other pieces to folks who are best at that particular thing, everyone benefits. Some of the management panels available in the RCI grid management software from PioneerX Estates. 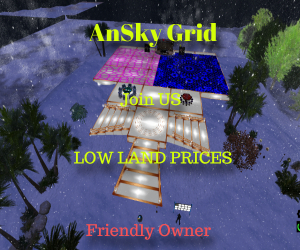 With the deal between PioneerX Estates and TalentRaspel, PioneerX is providing software to manage back-end grid functions — such as automatically updating all regions to the latest version of OpenSim. TalentRaspel doesn’t have to spend the time and effort duplicating all that work. Instead it can focus on providing support and consulting services to its clients. Customers benefit in two ways. 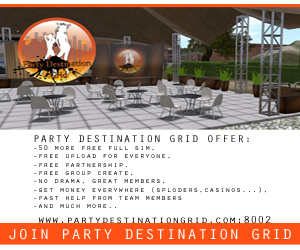 First, they get to have OpenSim’s best grid management system from two different vendors. So, for example, if PioneerX is booked up — and last we checked, they had a four-week backlog of new clients that they were setting up grids for — customers can go to TalentRaspel. Second, they get to choose a vendor that can best meet their needs. TalentRaspel, for example, is based in Germany, and some clients might want to be located close to their vendor. The company can also provide support in German. 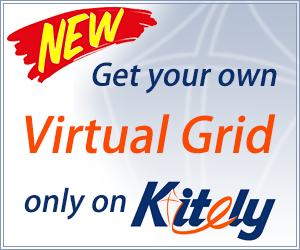 Germany is a hot market for OpenSim grid deployments, with the largest concentration of public grids of any country other than the United States. And there’s another benefit, which may not be as readily apparent. Say, a new vendor comes out with an even better grid management platform than that of PioneerX. Or the open source community decides that the tools are necessary, reverse-engineers them, and makes them available for free. TalentRaspel can now switch to the better or cheaper alternative and pass the benefits or savings on to their customers — without their customers having to do anything at all. Although OpenSim is distributed under the BSD license — which allows vendors to sell proprietary code built on top of the platform — the commercial vendors also contribute back to the open source community. Some of their contributions are purely altruistic. But it can also make business sense to donate code to OpenSim. Say you’re a vendor and discover a bug in the OpenSim software. You create a fix for it, then build your platform to take advantage of your fix. If you don’t share your fix, then the open source developers will come up with their own solution, which may be incompatible with yours — and you’ll have to do some re-engineering of your platform when the next release of OpenSim comes out. Meanwhile, while you’re busy rewriting your system to work with the new release, your competitors are moving forward and rolling out new features, instead.